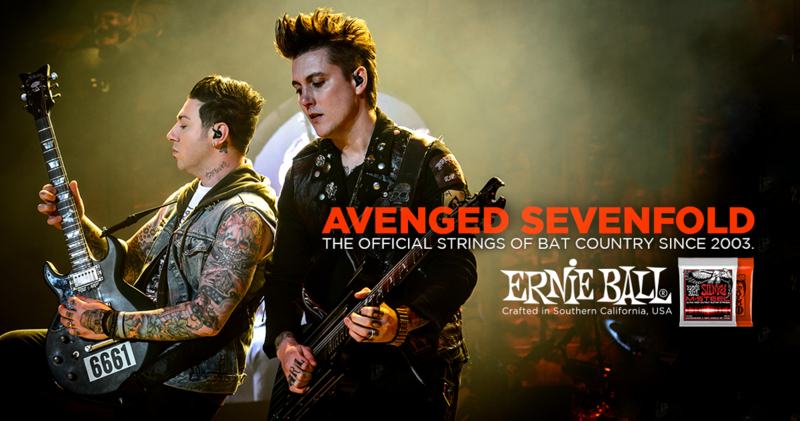 Ernie Ball artists Avenged Sevenfold are back with their first new music in several years, releasing the eight-and-a-half minute epic song “The Stage” early this morning. The track features many of the hallmark attributes that A7X has become known for – fret tapping intro, heavy riff grooves, harmonized solos, etc. – as well as some new additions, such as some spacey synth chords kicking things off. The video accompanying the song’s release is quite epic in its own regard, featuring an old-timey circus theme and a puppet show spanning the entire evolution of mankind. While there has been no official announcement of a new record, we’re hopeful that this is an indication that a full LP is imminent. In the meantime, the band is getting ready to kick off a European tour in early 2017. Until more new music is announced and released, enjoy the rest of the band’s catalog on Spotify. 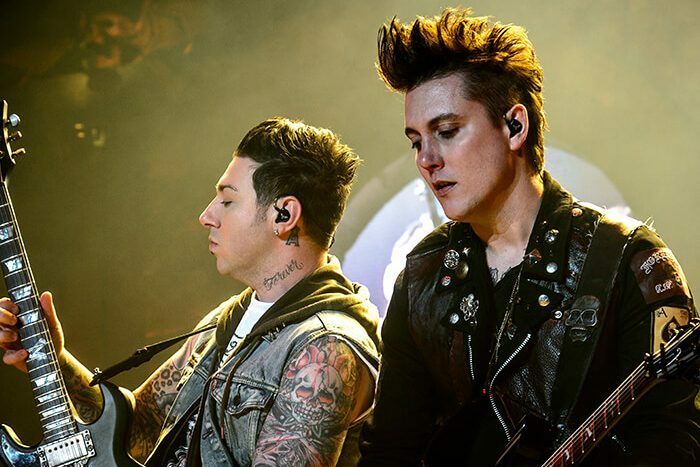 Zacky Vengeance plays Slinky Skinny Top Heavy Bottom nickel-wound strings, and Synyster Gates plays Slinky Skinny Top Heavy Bottom M-Steel strings. Do you? Try a set.